This article appeared in a August issue of AM New York in 2007. 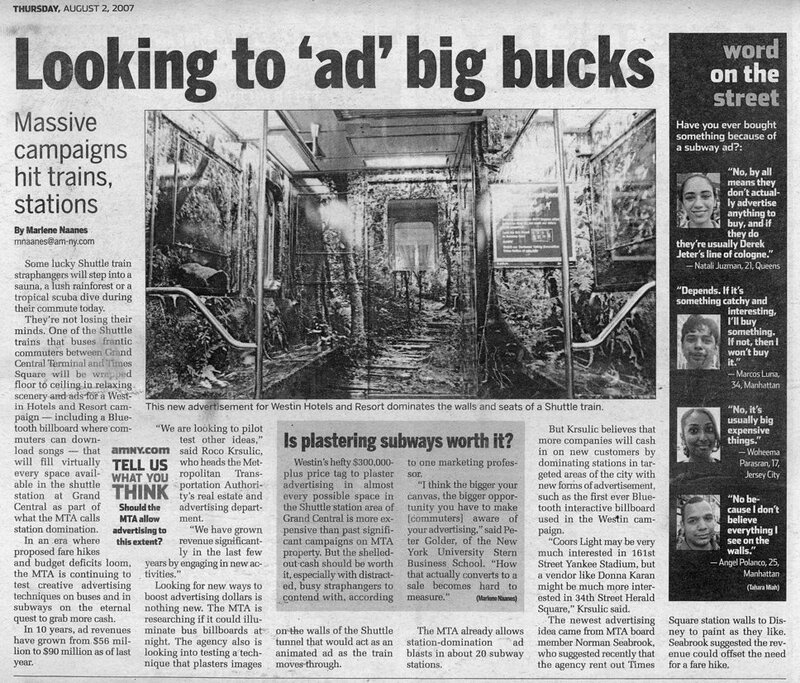 It highlights a test run by the MTA of the effectiveness of full inside subway car ad wraps. what is poignant about the article is the way the legitimacy of this kind of private public relationship is established is always through the budget and fiscal needs of the public institution. 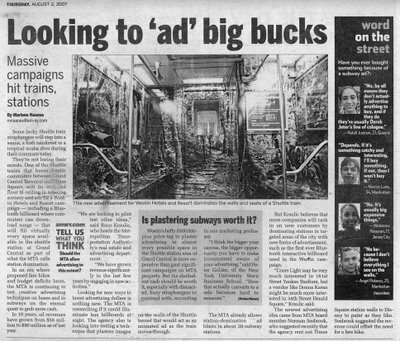 The MTA is portrayed as strapped for cash and in need of private ad revenue as an integral part of keeping the public company afloat. The only discussion of the psychic affect of this kind of daily interruption is painted through its aesthetics which are awash with soothing images and notions of transcendence. I bet it was overwhelming and aggressive.